Why Use Photonic Red Light Therapy? see what some of our customers have to say. I would not hesitate to recommend red light therapy as an additional tool to assist with any issues and will continue to offer this to Rufus. "Amanda has been giving Rufus red light therapy since September 2015. The benefits have been remarkable from the outset. 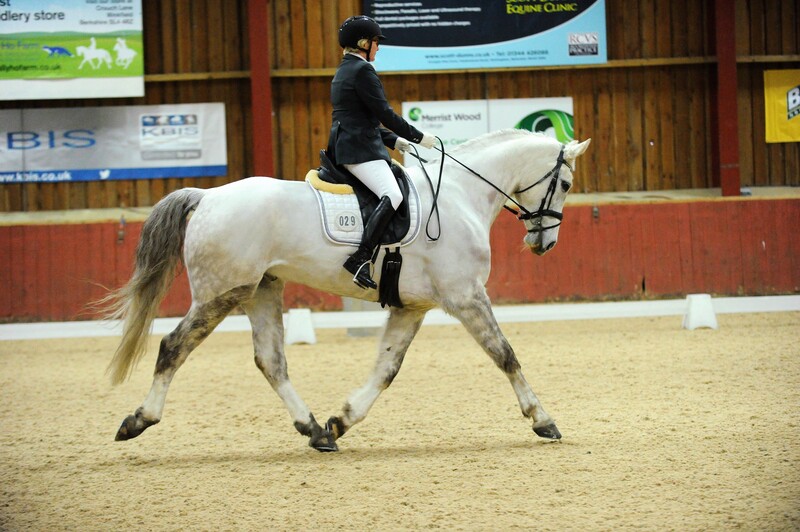 Rufus is a 17.3hh British Warm Blood who has taken a long time to grow and mature. The regular red light treatment has helped me to identify any areas of his body that are challenged by the ridden work and to take any necessary further action, such as physio or particular in hand or stretching exercise. It is always fascinating to watch the progress of red light therapy and rufus's reaction to it; over the months of treatment, patterns have emerged so that I am aware of his particular issues. 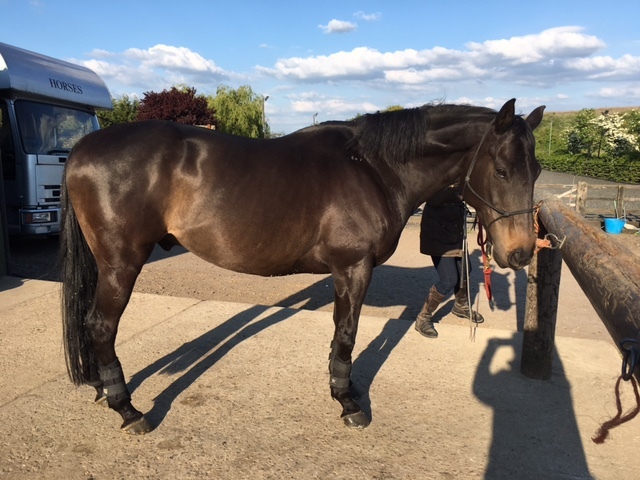 More recently Amanda identified that Rufus was uncomfortable in his hind gut area and following veterinary investigation, he has been on a course of Gastroguard; he is now clear of that discomfort. I get a huge amount of satisfaction in watching Amanda work with Rufus and to see his instant reactions to her work, yawning, licking, chewing and deep sighs of release. I would not hesitate to recommend red light therapy as an additional tool to assist with any issues and will continue to offer this to Rufus." Since the operation I have been using the red lights on the healing site and I have to date made a fantastic recovery. "Following successful "red light" treatments on my horse Bumble, I decided to use them on myself. I was due to go into hospital for surgery and had been told by the consultant that if I caught a cold/cough my operation would have to be cancelled; for me this was unthinkable. So, after consulting Jane, who had worked with Bumble, she explained that by holding the red light against my pulse point (Carotid artery) in my neck for 10-15 minutes three times a day, the red light acts in an anti-viral way. With all around me suffering from streaming with colds, cough and man-flu, I escaped completely and I have no doubt that the Photonic red lights can take the credit for that. Since the operation I have been using the red lights on the healing site and I have to date made a fantastic recovery, faster than was expected. Thank you Photonic Health UK." If Chalky could write, he would be giving this testimonial himself! "I was sceptical about red light therapy at first. Chalky clearly loved it, but was it doing anything? Then one day he had a touch of colic. When Amanda walked in with her lights Chalky practically hugged her! He was standing miserably, tucked up in the middle of his stable, but as Amanda got to work he gradually started to react. Suddenly after about 10 minutes, he gave an enormous sigh and snort, walked over to his hay and began eating. It was as though he said, 'thanks Amanda, that's done it!' Chalky now benefits from red light therapy weekly and as an old boy, it is helping him to stay healthy and in work. He lets us know where he needs it and responds by licking, chewing, yawning and zoning out!! If Chalky could write, he would be giving this testimonial himself!" I was so impressed with the red light treatment I had it myself! "In February 2016 my (ex) farrier made a grave error of judgement and to cut a long and sad story short, completely ruined my lovely boy Bumble's front feet, which until that time had been fine. This resulted in him going from uncomfortable initially and then badly lame, to differing degrees on both front feet. My new farrier tried his best to salvage the situation but unfortunately there had been catastrophic damage done and the upshot was that Bumble had to have Imprint shoes on for 10 months. During the initial period of discomfort and lameness, Jane visited Bumble frequently with her Photonic red lights for therapy sessions. There is absolutely no doubt in my mind that this helped the recovery process. Having seen the state of Bumble's feet, it was likely he was going to be lame for a very long time but with the red lights, the reality was that the lameness only lasted 3 weeks, with significant improvement after each session; if you look at the photos of his front feet you will see the devastating damage that had been done. Bumble also had Photonic red light therapy sessions to help his whole body recover; having been lame and moving badly he was bound to be feeling sore all over. I can't thank Jane, and also my new farrier enough for the work they have both continually done to bring my lovely boy to where he is now. I was so impressed with the red light treatment I had it myself!" One treatment from Jane and the tension has gone! 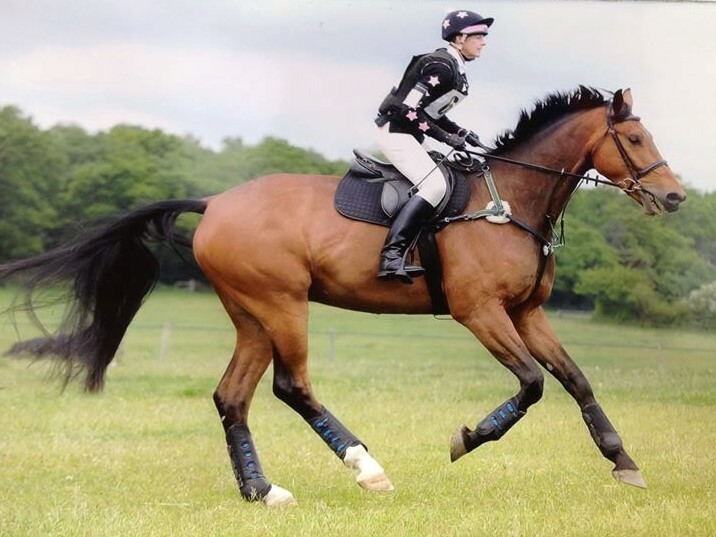 "I own a thoroughbred ex-racehorse who had been treated by Jane for about 8 months now. Thankfully Quest didn't race for long, but regardless the transition from racehorse to riding horse is challenging (and rewarding! ), as everything your horse has learned has to be unlearned and new skills put in place. I therefore asked Jane to see Quest at regular intervals, and with the red lights she is able pinpoint exactly where he is feeling uncomfortable and treats these areas accordingly to release the tension immediately. This is very important as Quest is a very extroverted and highly sensitive horse who will let you know exactly how he is feeling in no uncertain terms! We have recently progressed to cantering on-line on a circle, so in our sessions at the moment Jane has been monitoring Quest's back and the sacroiliac area in particular. Whereas our initial canter sessions were peppered with bucks, leaps and rears, he is now loping round with an increasing degree of quiet confidence as physically he feels much more comfortable within himself. The other day I noticed he was head shaking a lot in the school. I mentioned this to Jane who then treated his poll (where he can carry a lot of tension) and also found his neck to be quite sore. One treatment from Jane and the tension has gone. I've also been delighted with how quickly Quest has adapted to the treatments with Jane. After much initial curiosity and several attempts to bite the red lights he is very relaxed and accepting. And the beauty of it for the human is you can actually see it working. The emotional release session was one that I will never forget. Quest seemed quite resistant at first as if he just didn't have the confidence to 'let go'. But then all of a sudden he rushed to the back of his stable and stood very still for a couple of minutes, and then drew himself up in an almighty stretch and arching his back as he did so. At this point I put my hand over my mouth as I thought he was going rear up in the stable but he let out an almighty big sigh and then walked over to Jane and put his head in her hands as if to say 'thanks, I really needed that'!'. And then after then he did the same to me. It was very moving and I feel it has greatly helped the bond that we are developing between us."